The LX60ST features the BlueCore light engine technology to bring you optimized visual display and energy efficiency. Utilizing SmartEco™ Advanced Technology, you're able to reduce light source power consumption by up to 90%. It's an economic and environmentally friendly choice for your school. The BenQ LX60ST is the first in the world to be equipped BlueCore, a light engine that utilizes the unparalleled qualities of a laser light source to achieve optimized energy efficiency, projection performance and readiness. It also incorporates the BlueCore-enhanced SmartEco? 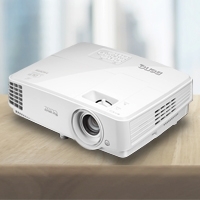 Advanced technology to further reduce light source power consumption by up to 90% for a significantly lowered total cost of projector maintenance and ownership. 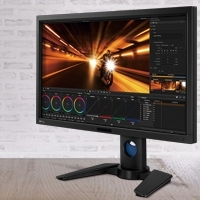 Free of mercury, the BenQ LX60ST is a safer, smarter and environmentally friendly choice for your school. Blurry images can be distracting for students to read and can cause eye strains and fatigue. The BlueCore light engine can dim the light source power up to 90% and still achieve a contrast ratio as high as 80000:1. This allows students to learn with ultra sharp images and text so they can focus their attention on learning. The BlueCore light engine, powered by a laser light source in Eco Mode, has nearly three times the lamp life of a traditional mercury lamp. With up to 20000 hours of lamp life, the LX60ST offers a much more reliable performance with no sudden decrease in brightness. It only takes a few seconds for the LX60ST to reach full brightness using BlueCore technology. In addition, it doesn’t require additional time to cool down. That leaves teachers with more time to teach without having to wait around between classes. The higher the color ratio, the brighter the image students will get to view. The LX60ST features an 8-segment phosphor wheel to boost the color ratio from 33.7% to 55.7%. Bring images to life with fantastic colors and contrasts. Users can adjust the brightness level of the LX60ST manually to fit the environmental lighting condition to save power. This is something you cannot do this with a traditional projector. In the long-run, you're able to save power and prolong the lamp life. Driven by BenQ’s latest BlueCore Light Engine, the all new SmartEco Advanced technology optimizes the core element of the projector – the projector light source system system – to save up to 90% in light source power consumption! For schools that are looking for ways to lower the total cost of ownership, SmartEco Advanced certainly helps to reduce energy costs and extend the lamp life. Thanks to the laser characteristics of the BlueCore light engine and the heat sink design, users have the flexibility to set up the LX60ST tilted 360° degrees in either direction around the vertical! This gives teachers the flexibility to place the projector any way they want and optimize limited space. The SmartEco Mode automatically determines the optimal brightness depending on the input source. This special mode cleverly adjusts the light source power to maximize power saving – delivering the best contrast and brightness performance at the same time. 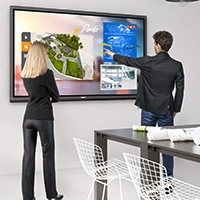 SmartEco Advanced activates the Eco Blank Mode after the projector has remained unconnected to a display source, such as a classroom PC or notebook, for three minutes, automatically lowering the projector brightness to 10%. This is to avoid keeping a projector from running with full lighting power, allowing the projector light source to rest whenever possible. Hence, the projector light source lasts longer. The Eco Blank Mode allows teachers to blank the projection screen when the projector is not in use. Blanking the projection screen also allows teachers to direct their students’ focus back on them. Press the “Eco Blank Mode” button on the keypad or the “Blank” button on the remote control to activate this feature and watch the projector dims the lamp power automatically, lowering the total light source power consumption by up to 90%. More and more schools are recognizing the benefits of teaching with Apple iPads – with teachers responding positively on how the devices have helped them succeed tremendously in engaging their students in class. The education applications open a gateway to a world of knowledge through a wide range of contents such as e-books, websites, newspapers, magazines, movies, music and games – offering students a more captivating learning experience in every subject. The LX60ST comes with iPad and/or iPhone wireless display support to expand onscreen content to over 80 inches and empower teachers to teach freely in class. The LX60ST comes with enhanced audio support for your classroom. Two 10W speakers are sealed and secured within each side of the projector with BenQ's anti-shake design to deliver 20W crisp-clear audio performance with stable projection. The microphone input connects the projector to a conventional microphone or microphone headset for increased ease of teaching and learning. *Please click to know more details about 3D Support and Compatibility. Subject to the terms and conditions set forth below, BenQ America Corp. (“BenQ”) warrants the BenQ Laser Projector model LX60ST or model LW61ST (“Product”) you have purchased from BenQ or a BenQ authorized reseller in the United States to be free from defects in materials or workmanship under normal consumer use during the warranty period in the continental United States, Hawaii, and Alaska. If the Product becomes defective during the warranty period BenQ will, at its option, repair or replace the Product. BenQ may use new or reconditioned components or parts to repair the Product, or replace the Product with a new or reconditioned Product of the same or functionally equivalent model.
? Three (3) years from the purchase date by the original retail purchaser (the “Customer”) (except for refurbished units which have a separate warranty policy), parts and labor only (No advance replacement).
? Return Merchandise Authorization Shipping: The Customer will pay shipping freight to BenQ or a BenQ Authorized Service Provider and BenQ will pay shipping freight to the Customer during the warranty period.
? DOA (Dead On Arrival): Must be reported within thirty (30) days of purchase. An RMA number must be issued in order to process the replacement. BenQ will replace the DOA unit with a brand new replacement. BenQ will cover the freight charges both ways.
? Shipping Damages: All shipping damages must be reported within seven (7) business days upon receipt of the Product. BenQ is not responsible for the shipping damages reported after such period.
? Repaired or Replaced Parts and Products: All repaired or replaced parts or products shall be warranted only for the remainder of the original warranty period specified above.